Thanks for checking! This tells us that the issue is likely on your web server’s side and not your client application (Transmit, Cyberduck, etc) at the very least. By “Web Server” this would actually mean both Little Oak and Godaddy, as they’re both “part” of your website and work hand-in-hand. Little Oak provides your hosting while Godaddy likely provides your DNS. That’s a very typical, common situation. What’s happening here is that you’re attempting to initiate an FTP connection to your website, but all connections time out in all client apps. Personally, I’d start by disabling Cloudflare entirely and making sure the basic FTP connection works without it. It seems like Cloudflare may be the thing causing the issue. Awkwardly, this is where my ability to troubleshoot this ends, as we at Panic don’t have any control over all of this. If after disabling Cloudflare you’re still unable to connect, I recommend reaching out to either GoDaddy or Little Oak to troubleshoot further. Not sure what this is about. Seems like you have posted an answer you got from maybe Panic(maker of Transmit) about some problem you’re having. Without knowing what exactly the issue was it’s not making a lot of sense. Sorry for the cryptic post! I cannot access my ftp files by either logging into (transmit), nor can I publish my website to make some necessary changes and update to inventory. What I don’t understand is my website (https://danajohn.com) as is, with Cloudflare in the equation is working just fine but as mentioned I cannot make any changes or access the FTP files. What you need to do is create a DNS entry for something like ftp.mydomain.com to point to your IP address. 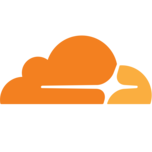 Then you have to disable cloudflare for that entry by clicking on the orange cloud. Thank you for responding … been there done that! I’ve tried every suggestion from every forum. Maybe there is no workaround? I have personally had issues with Godaddy I think that is where I would start. I have stopped using goGadddy and moved all my domain management (dns) to noip.com. The service is much better and they have other services that I use that no one else I know provide. Thank you … I just may try your suggestion. Maybe I just need to eliminate Cloudflare from the equation and purchase ssl certificate to remedy the “Not Secure”? I’ve been using CloudFlare with RapidWeaver on multiple sites for years and have had no issues. Go daddy on the other hand has created many problems for many users. If you’re are publishing to an IP address than than CloudFlare is NOT the issue. The IP address is from your hosting company and the publishing client (transmit, RapidWeaver or what ever). CloudFlare doesn’t even come into the picture. Are you sure that you have Cloudflare setup properly? Did you set the cloudflare DNS servers for your domain? What is your domain? Thank you all for your time, I opted to eliminate Cloudflare from the equation. All is back to where I started, with the caveat of a “Not Secure Website”. Most likely Go Daddy and my Host Little Oak didn’t play together well. If you’re are publishing to an IP address than than CloudFlare is NOT the issue . I want to reiterate what Doug said. If you are connecting with an FTP client to the IP address of your server, then it is only between your FTP client on your computer and your hosting provider (Little Oak). Cloudflare and GoDaddy’s DNS service don’t enter into it at all. I would work with an FTP client and get to the point where you can SFTP reliably to your hosting server. Little Oak support should help with that, as there is nothing else to point fingers at. If they don’t, then I’d look to a new hosting provider.